Your navigator into and through the system. We help children, adolescents and adults with behavioral health issues achieve recovery. We help people with intellectual disabilities reach their potential to live a meaningful & productive life. Service coordination for children from birth to 3 years of age who display developmental delays. Locally serving the mental health needs of individuals with medical assistance in PA. Supporting individuals with Autism Spectrum Disorder overcome obstacles to achieve an independent and fulfilling life. 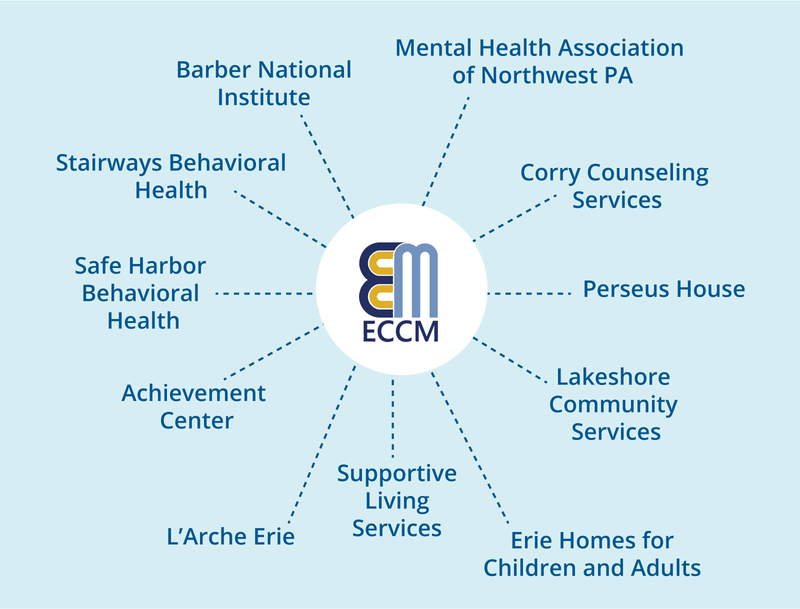 Erie County Care Management (ECCM) is a non-profit organization dedicated to making you eligible for and authorize you for services through our early intervention service coordination, autism supports coordination, intellectual disabilities support coordination, and behavioral/mental health case management. Our goal is to Build Independence, One Empowered Consumer at a Time.